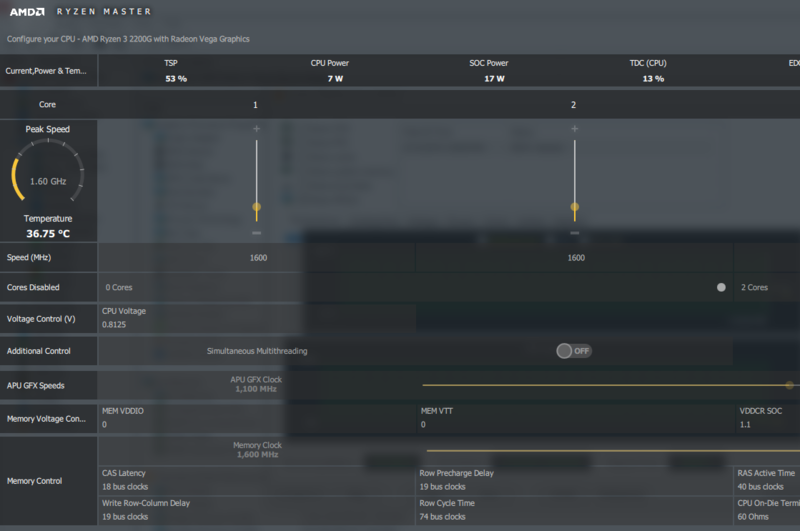 I'm trying to overclock the graphics on my Ryzen 3 2200g in the ASRock Deskmini A300. I have updated to the latest Bios already (v3.40) and I have installed the latest AMD drivers in Windows. 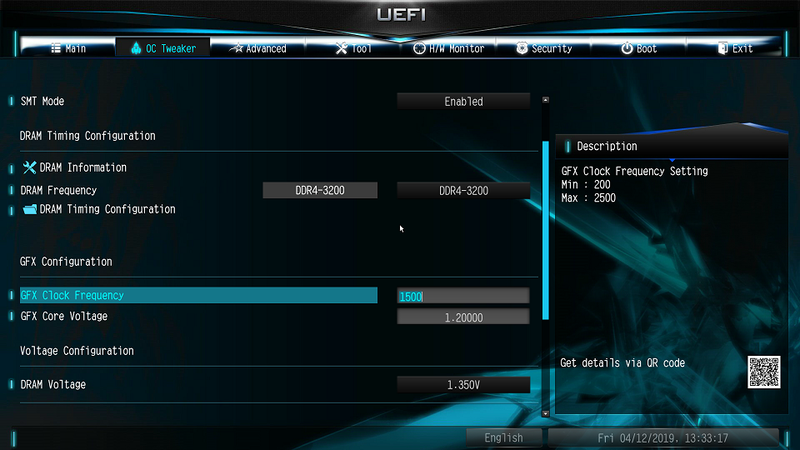 In the BIOS, I have set the "GFX Clock Frequency" to 1500, and changed "GFX Core Voltage" to 1.20000. However, in Ryzen Master, I still see the GPU clock set to 1100MHz while running a GPU stability test with AIDA64. Can anyone tell me what I'm doing wrong? How do I overclock the GPU in the BIOS? That's unfortunate. Don't suppose there's a B- or X- series STX board in the works then? I really like the form factor, but for my plans, I would need to push an R5 apu to its limits, I would like to do so with the footprint STX offers.